This page shows the latest golden triangle news and features for those working in and with pharma, biotech and healthcare. London, San Francisco and Boston – close to the UK’s 'golden triangle' and the east and west coast biotech hubs in the US. These include the San Francisco Bay area and Boston in the US, and the ‘golden triangle’ of Cambridge-Oxford-London in the UK. Some 17 of the 24 universities are based outside the ‘Golden Triangle’ of London, Oxford and Cambridge. 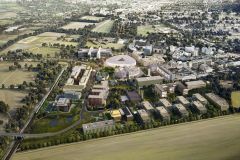 Cambridge represents one corner of England’s larger ‘Golden Triangle’, which includes Oxford and London, and which is unquestionably Europe’s most important life sciences region.